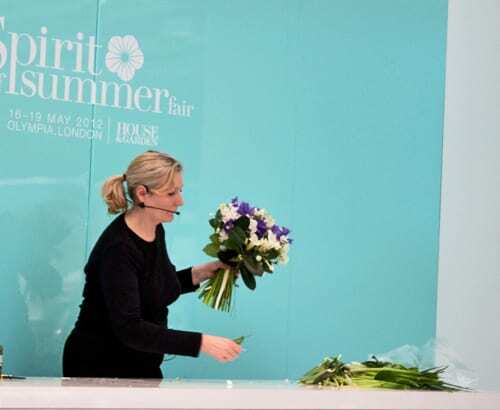 Yesterday, I attended the Spirit of Summer Fair at Olympia in London and this afternoon, I thought I’d share my floral highlights with you. 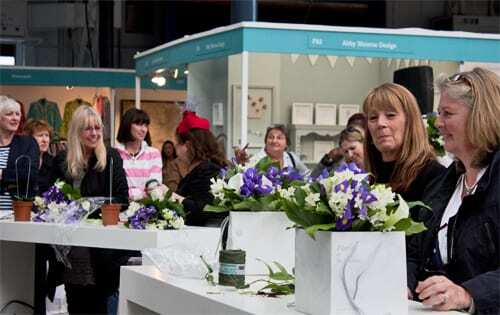 At the show, there are a wide range of great workshops and presentations which you can attend. 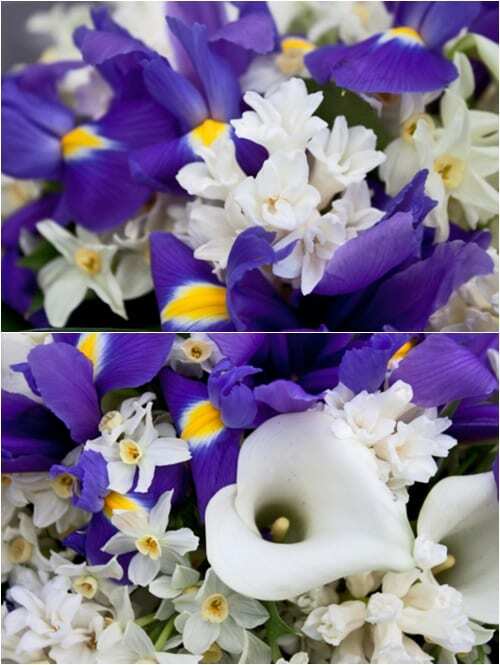 Beautifully fragrant spring blooms such as narcissi and hyacinth, plus calla lilies, irises and stephanotis were kindly supplied by The Flower Council of Holland for us to arrange together. If you go to the show which is on until Saturday, I highly recommend taking part. 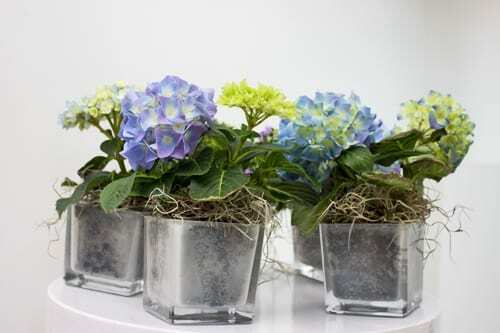 It doesn’t matter at all if you’ve not done any flower arranging before. Wendy’s team are on hand if you have any questions. Just make sure that you get there early though, so that you can get a seat…it was a very popular workshop! 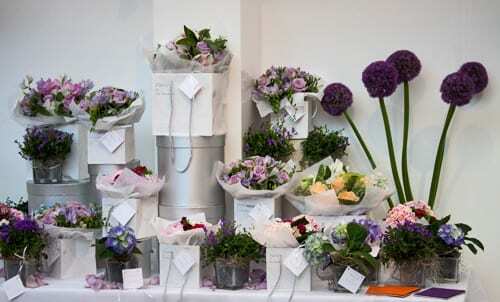 I also attended a fabulous talk by Lifestyle Director, Debbie Wild, from Jo Malone London at 1.15pm. She gave us lots of ideas about how to personalise our homes with scent, using candles, diffusers and room fragrances. 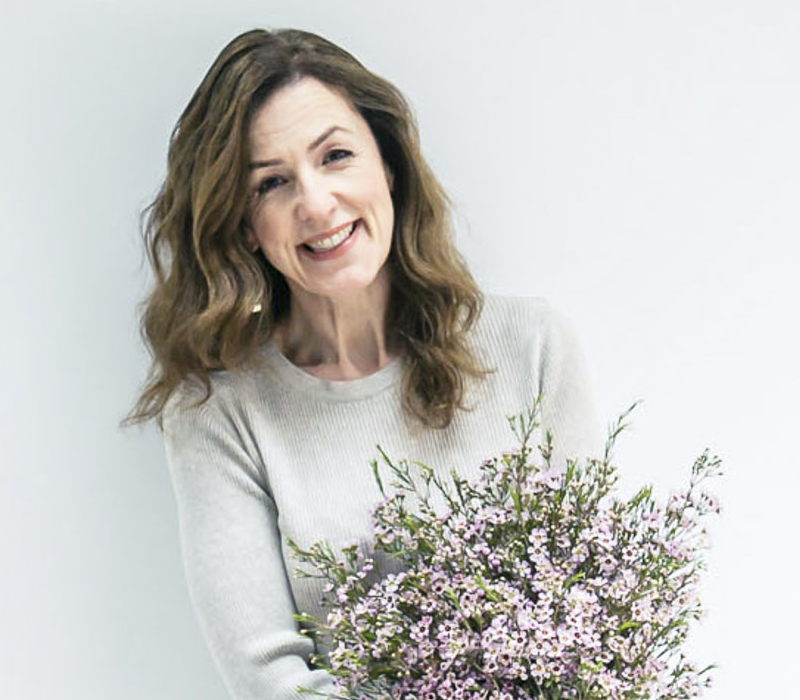 Debbie is at the fair every day too, so do pop along to her presentation…and you’ll get a gorgeous little Jo Malone London bag with Pomegranate Noir, Red Roses and Lime Basil & Mandarin sprays. I’m wearing the Red Roses cologne today…and it’s really lovely. At 2.30pm, I attended an enlightening workshop taken by Master Perfumer Roja Dove with Laurent-Perrier Rose. 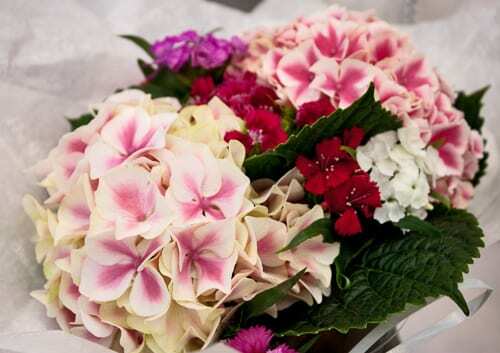 Whilst we sipped on champagne, Roja enlightened us about the world of scents. 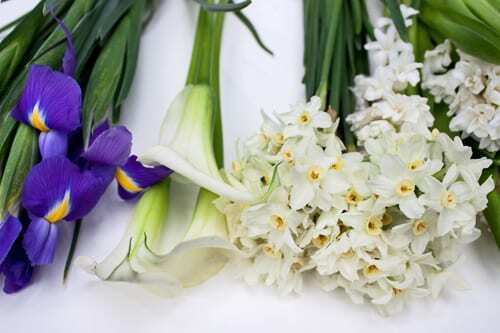 From hyacinth, rose and orris to lavender, he explained each fragrance and its characteristics in turn. We were given smelling strips so that we could compare and contrast the effects that floral oils have and how they combine with each other. 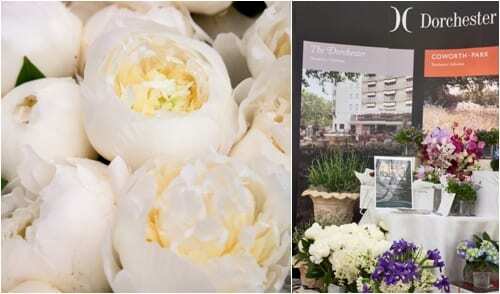 He also told us about a new limited edition Rose de Mai candle, which he has created exclusively to mark Laurent Perrier’s Bicentenary Garden at this year’s RHS Chelsea Flower Show. Roja is at the show again today. 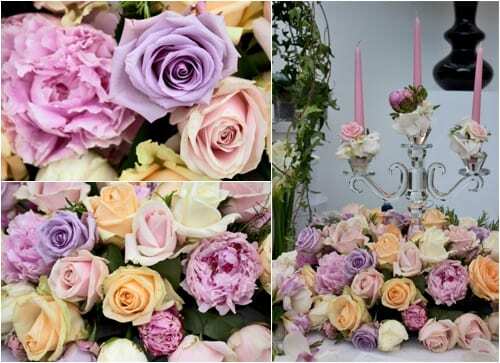 Then tomorrow and Saturday, florist Ercole Moroni will be holding an inspirational rose workshop at 2.30pm. 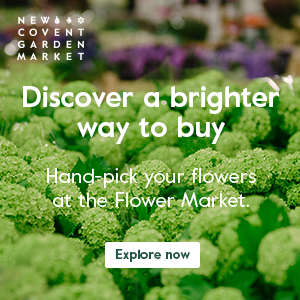 As well as a range of talks and workshops at the show, there are also lots of fabulous exhibitors with lifestyle products, homeware, fashion and food.